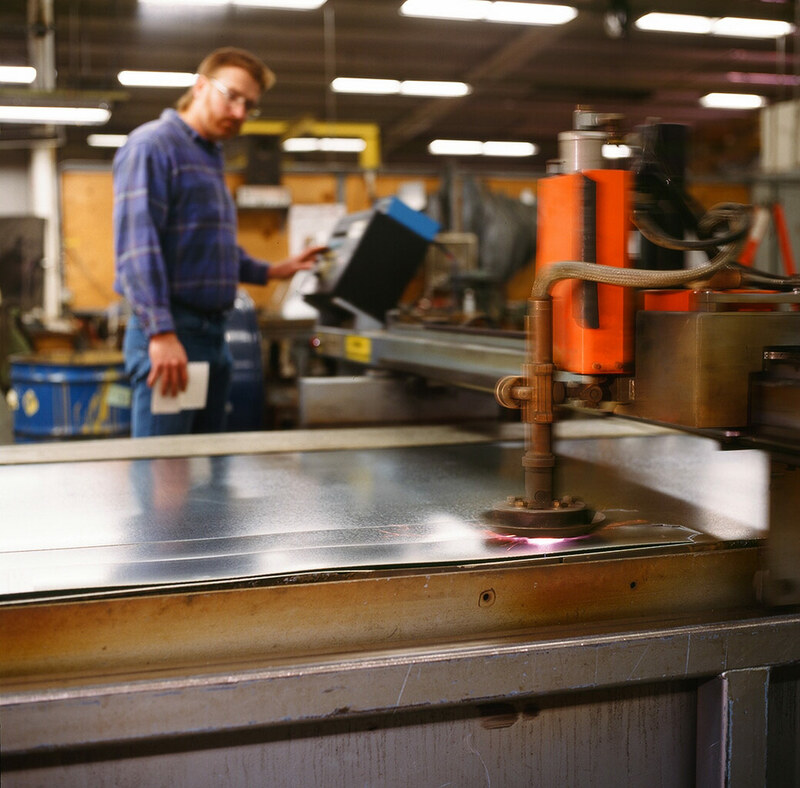 Few companies offer our breadth of services, and our fabrication shop truly sets us apart. Sure, we create ductwork for HVAC needs, but we’ve also created specialty semiconductor items, such as clean room tables, floor access panels, exhaust manifolds – and much more – all out of stainless steel. In addition to the traditional rectangular duct and fittings, we also fabricate spiral pipe and fittings in both single wall and double wall configurations. And it doesn’t stop there. We’ve created chutes for chicken processing, gas cabinets, J-boxes, plan tables, and all kinds of metal trays – and even a water tower used for a movie prop. Think of us for ductwork, hoods, kitchen exhaust ducts, dishwasher exhaust ducts, flashings, corner guards, counter tops, column covers, backsplashes, brackets, tool boxes, jobsite plan tables, belt guards, electrical boxes, volume dampers, drain pans, roof curbs, curb adapters, sleeves, downspouts, boots, gutters, pipe saddles, sign blanks, and more. If you need something made out of metal, including galvanized steel, black steel, aluminum, copper, stainless steel, paint grip – and even some plastics – we can make it. And when it’s time to install it, our crews are the best in the business – all with years of classroom and field training. We specialize in complicated projects, including fast-track design build, weekend/holiday air handling unit replacements, multi-zone, VAV, constant volume, rooftop, split system, fan wall retrofits and double duct HVAC systems. We can also install your lab or process exhaust systems. Give us a call or send us your sketch. We would love to work with you.